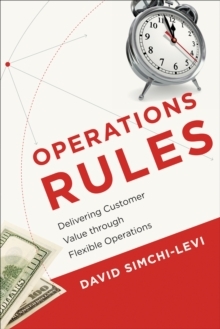 Designing and Managing the Supply Chain, 3/e provides state-of-the-art models, concepts, and solution methods that are important for the design, control, operation, and management of supply chain systems. In particular, the authors attempt to convey the intuition behind many key supply chain concepts and to provide simple techniques that can be used to analyze various aspects of the supply chain. 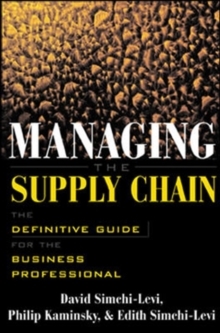 Topical coverage reflects the authors' desire to introduce students to those aspects of supply chain management that are critical to the success of a business. 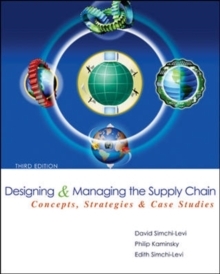 Although many essential supply chain management issues are interrelated, the authors strive to make each chapter as self-contained as possible, so that the reader can refer directly to chapters covering topics of interest. 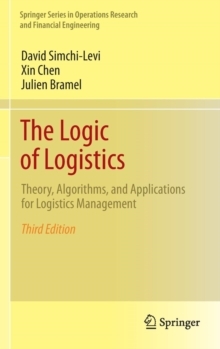 Each chapter utilizes numerous case studies and examples, and mathematical and technical sections can be skipped without loss of continuity. The 3rd edition represents a substantial revision. 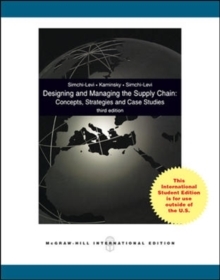 While the structure and philosophy were kept intact, the authors placed an increasing importance on finding or developing effective frameworks that illustrate many important supply chain issues. At the same time, motivated by new developments in industry, they added material on a variety of topics new to the book while increasing the coverage of others.